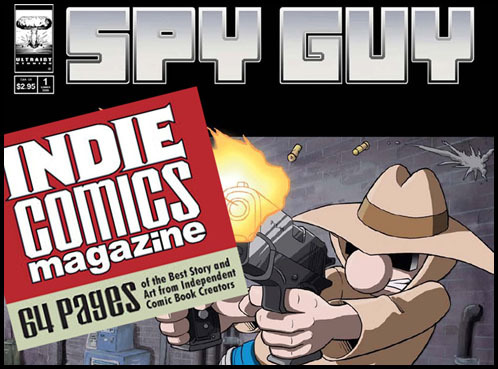 SPY GUY #2 is now available for purchase from The Ultraist Depot online comic store. THE POSSUM #5 is available as well, so why not grab them both while you’re at it! To everyone who has ever bought one of our comics before: Thanks! That’s what makes it all worth while. 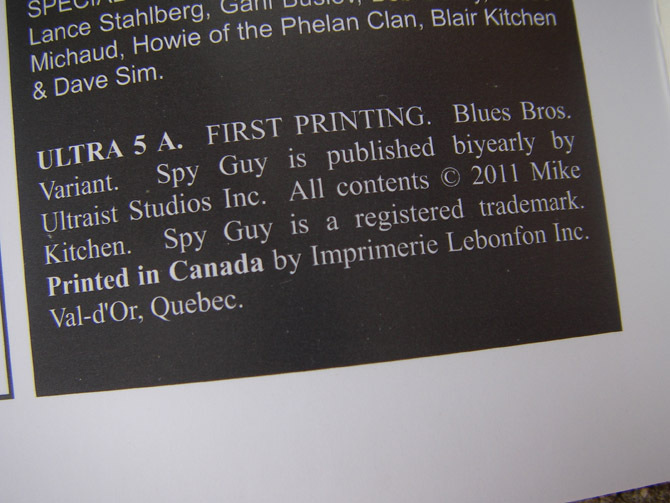 SPY GUY #2 IS HERE! At 9:00 am this morning, SPY GUY number two of the Unlimited Series arrived at the loading dock of the Ultraist Studios suburban stronghold. The good news is that it is here with time to spare to have available for purchase at the 2011 Fan Expo. The bad news is that three quarters of them showed up with a minor printing error. 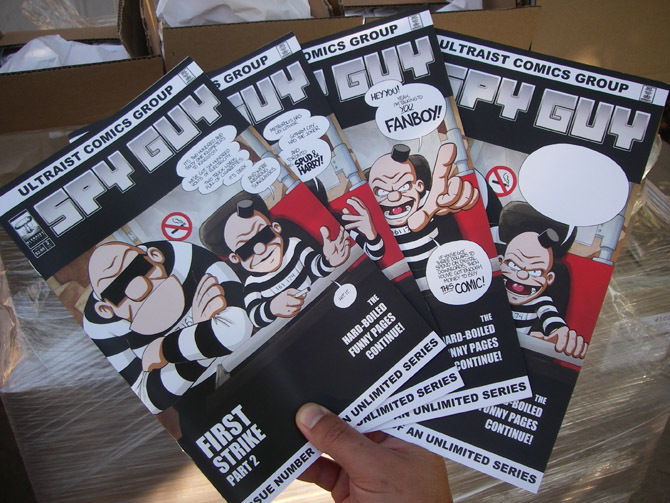 The small print on the inside front cover was supposed to have four variants indicating the four different versions of the variant covers: ULTRA 5A, ULTRA 5B, ULTRA 5C & ULTRA 5D. However the entire print run came out with the ULTRA 5A Blues Bros. variant small print. We’ll have to see what the folks at Lebonfon can do to fix this up for us. Ultraist Studios (Spy Guy) and Possum Press (The Possum) are once again returning to the Metro Toronto Convention Centre for the Toronto FAN EXPO! This year we’ve got new comics! That is, assuming the shipment of SPY GUY #2 arrives at 1:00 like it is supposed to… these last minute deliveries seem to be a reoccuring event, even when they are given weeks extra to compensate. At the very least, it makes for an interesting story. 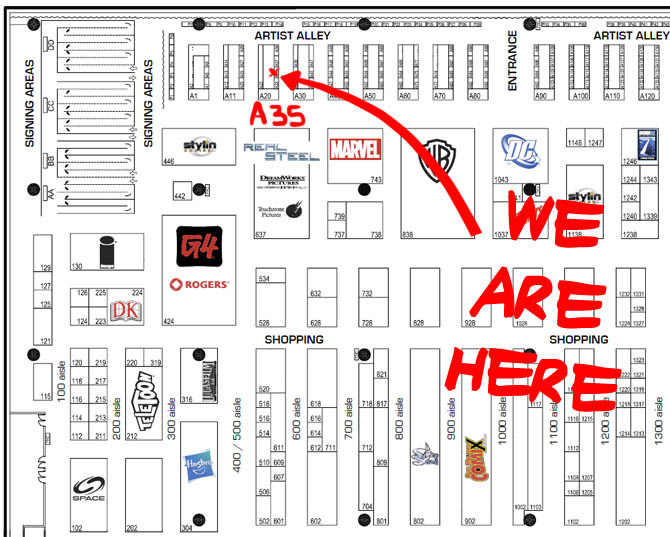 You can find us at table A35 in the Independent / Small Press Artist Alley. 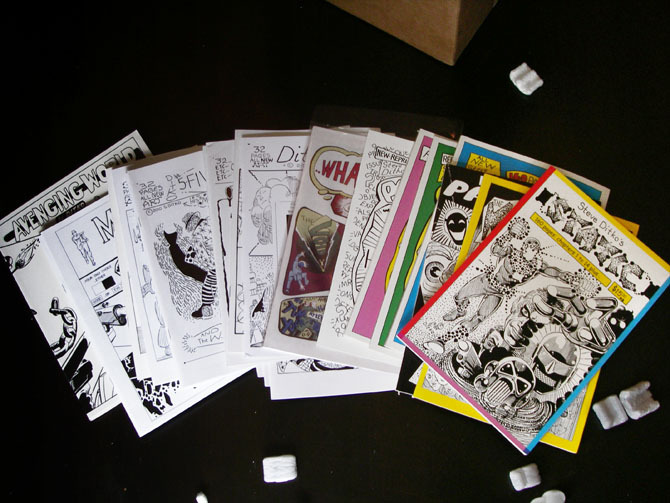 I Got Mail: Today the ultimate Steve Ditko Mega Pack arrived in the Ultraist Studios mailbox. 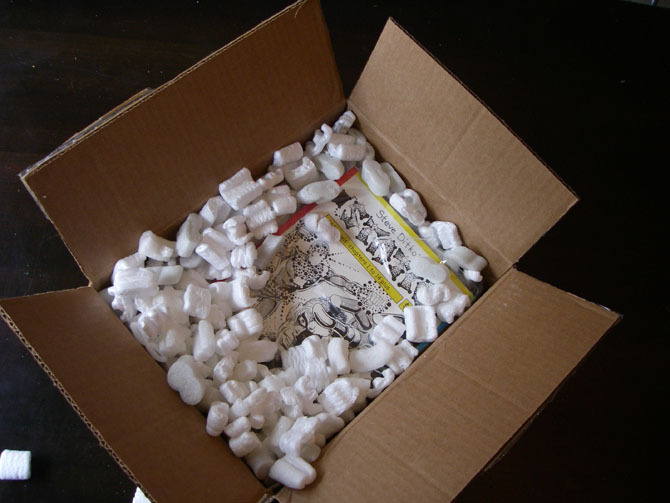 I first learned of all of these comic books from Dave Sim via The Blog And Mail a few years back. Ever since, I’ve been meaning to pick these up. 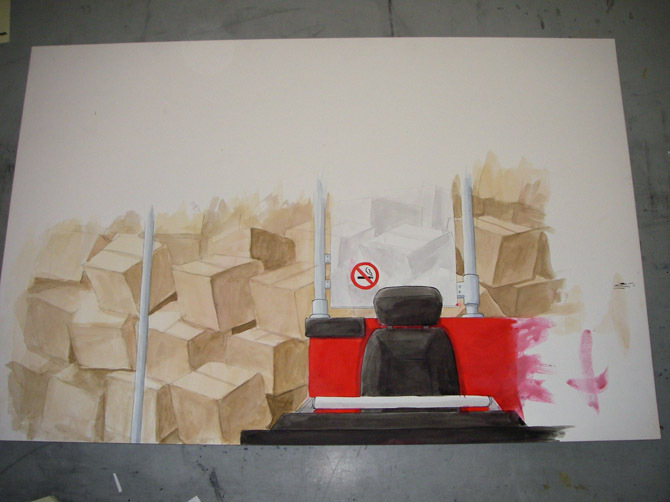 Finally got around to it last week when I placed an order with Bob Heer. Steve Ditko has designed most of my favourite comic stuff from Spider-Man to the Blue Beetle. I can’t wait to see what creator owned stuff Ditko has been drawing over the past decades. I’m especially interested to read THE AVENGING MIND. Here’s the complete list of books I got. I’m also waiting for some Ditko Mania books to come in via Rob Imes. 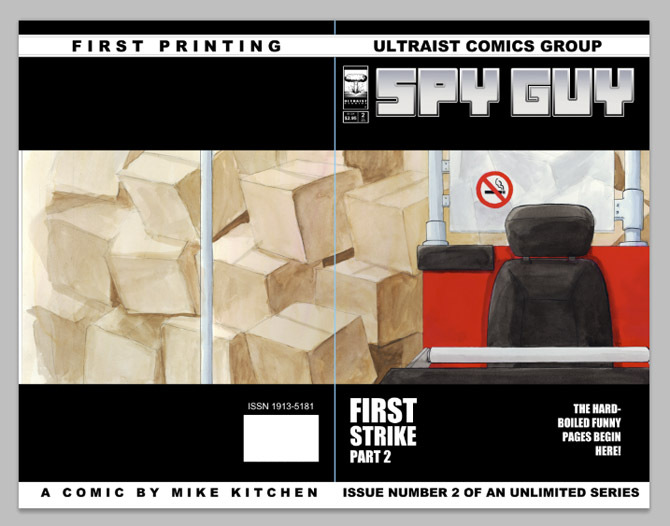 I’m also waiting for a truckload of SPY GUY #2 to arrive at the Ultraist Studios loading dock any day now. A good month for comics. First Strike Part 2 (of 3). When a shipment of contraband is hijacked by Spud & Harry, our hero embarks on a mission to apprehend the criminals and reacquire the lost evidence needed to incriminate the accused in a police sting operation. But it isn’t going to be easy. Also contains a two page backup story called SPY GUY: The Death Of The Floppies. SPY GUY #2 is DONE! 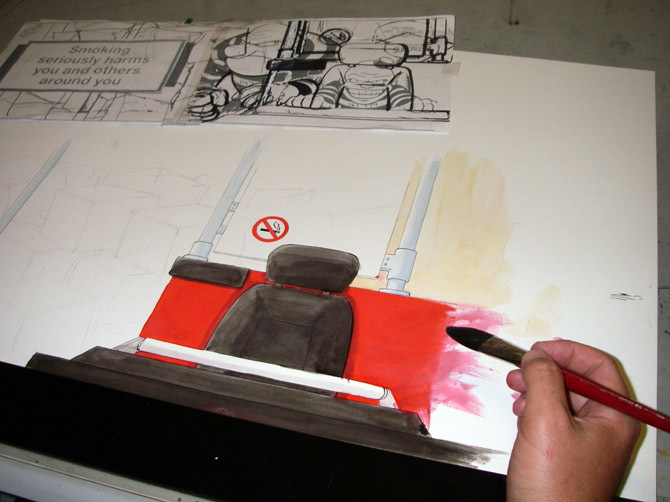 On Monday I completed all of the finishing touches to SPY GUY #2. Then yesterday I gathered up the digital page files and did one last proof reading. Now today the files are transfering via filezilla to Lebonfon for printing. Patrick says it should be no problem getting the books in time for Fan Expo. I don’t know about you, but I’m really looking forward to seeing it! Somedays when drawing characters, the poses just don’t come out right. 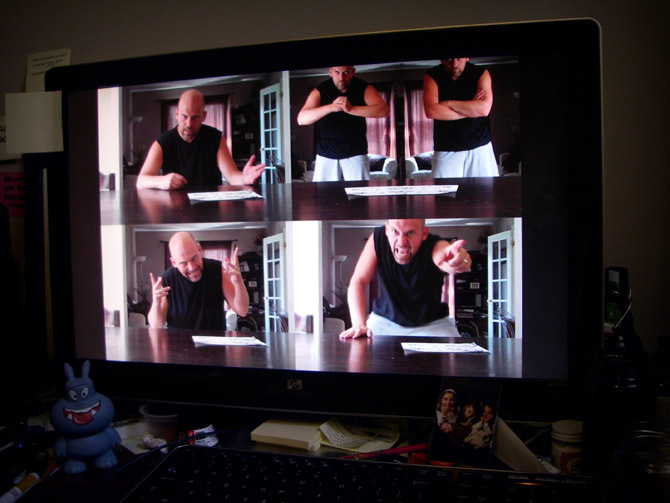 That’s when you’ve gotta grab the Flip Cam and act it out. Next; to get the “cell animation” layer in place. 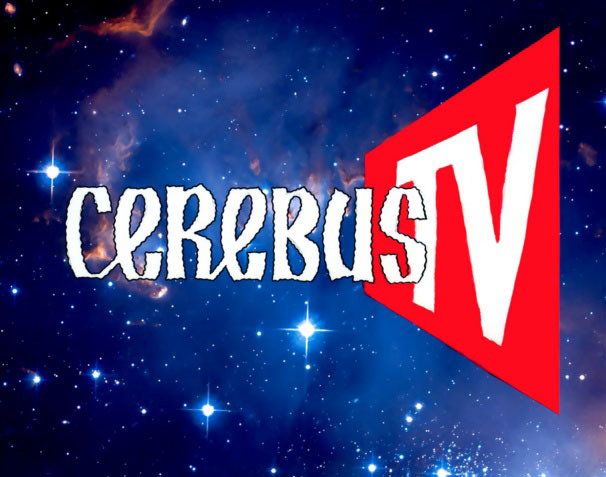 CerebusTV this Friday at 10pm ET / 7pm PT: A quick look at Xeric award winning cartoonist Gary Scott Beatty’s innovative 64-page INDIE COMICS MAGAZINE — where each contributor buys space and then shares equally in all revenues from sales through Diamond Comic Distributors. A great lead-in to “The Case of the Anunnaki Artifact”, Mike Kitchen’s contribution to INDIE COMICS MAGAZINE No. 2 with voice-over by the Kitchen Family Players voicing their own characters — Mike Kitchen as SPY GUY, Erika Kitchen as Erica Korczak, Anika Kitchen as Katie Whips, Raina Kitchen as Two Gun Tiny, Erikson Kitchen as Super Shooter and special guest Dave Sim as both Dr. Golem and the Aliens. Taped last December 20. CEREBUS TV editor Dave Fisher– who will be getting a lump of coal in his stocking this Christmas — sincerely apologies for switching the names of Anika and Raina’s characters in the credits. To watch this episode, click on over to CerebusTV.com and chose your streaming video to view via your internet browser. The show begins this Friday at 10:00 pm and will be streaming live on a cycle until next Friday at 10:00 pm. While the episode is airing, you can get INDIE COMICS MAGAZINE #2 signed by all the contributing Kitchen Family Members for the cover price of $6.49 (plus shipping). I’ll take it one step further and number them as the CerebusTV Edition. They’re now available for purchase in the Ultraist Studios Store. Why does David Branstetter like SPY GUY? Why does David Branstetter (creator of Straw Man) like SPY GUY?